Islamic militants captured another town in Iraq early this morning. U.S. officials announced that they would be moving some staffers out of the country’s embassy as violence in the country escalates. The Islamic State in Iraq and Syria (ISIS) fighters took the city of Mosul last week and within two days had laid out their Islamic laws for the city and put police officers on the streets. The New York Times has a story of how well-organized the group is. The ISIS has been carrying out attacks in Iraq since at least 2004. In 2007, they published a pamphlet outlining their vision for Iraq. Many U.S. veterans of the 8-year war in Iraq have watched the violence escalate and wondered what exactly so many sacrificed so much for? Iran has sent 2,000 advance troops into Iraq to help squash the insurgency. Top leaders in the US-trained Iraq military just decided to leave their posts rather than try to protect their country. Legendary radio host Casey Kasem passed away Sunday. Kasem, who hosted American Top 40 and voiced Shaggy of Scooby-Doo fame, was 82. For months Kasem had been the subject of a legal battle between his daughters from his first marriage and his second wife. 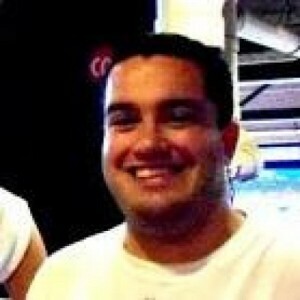 Jean Kasem. The daughters and others alleged that Jean was keeping them from seeing their father, who suffered from Parkinson’s disease. Kasem signed a document in 2007 outlining his end-of-life wishes and giving Power of Attorney duties to his oldest daughters. The San Antonio Spurs beat the Miami Heat 104-87 last night to take the NBA title 4 games to 1. It’s the fifth title for the Spurs and the first since 2007. Coach Gregg Popovich and Tim Duncan have both been around for all five titles. Tony Parker and Manu Ginobili have been around for four. Duncan brought his two kids to his post-game press conference. While Duncan has 5 titles in 17 seasons, it pales in comparison to the NBA leader, Bill Russell. Russell won 11 titles in 13 seasons with the Boston Celtics. Hall-of-Famer Tony Gwynn died this morning at the age of 54. He had been on leave as the baseball coach at San Diego State since March as he recovered from cancer treatment. His son, Tony Gwynn Jr., is an outfielder with the Philadelphia Phillies. 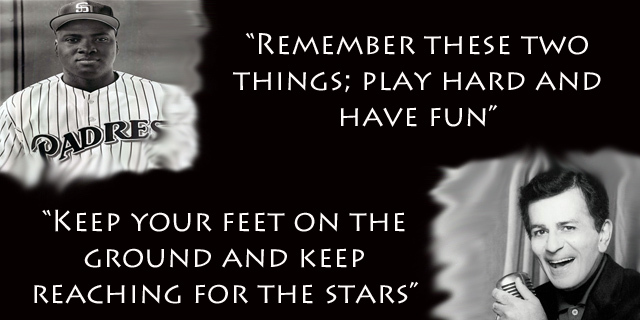 Tony Gwynn Sr. played 20 seasons for the San Diego Padres and will forever be known as “Mr. Padre”. Gwynn had 3,141 hits and a .338 batting average during his MLB career. 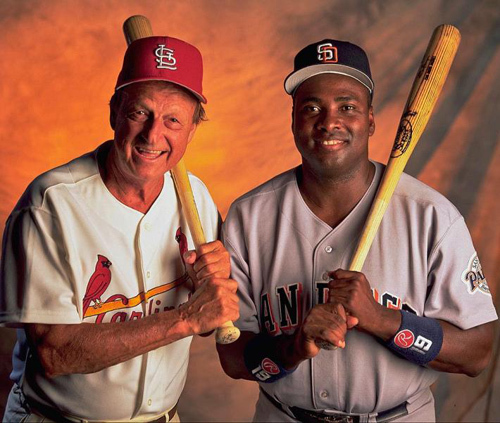 In 1997, the Sporting News got two of the greatest hitters in MLB history, Gwynn and Stan Musial together for a photo shoot. The Bosnia-Herzegovina national team played their first-ever World Cup match yesterday against Argentina. The Dragons went down early after a Lionel Messi cross for Argentina went off a Bosnian defender’s leg for the quickest “own-goal” in World Cup history. Messi scored a goal of his own in the 65th minute and he did it in the fashion typical of arguably the best player in the world. Bosnia got itself on the board in the 84th minute on a goal by Vedad Ibisevic, who grew up in St. Louis. Ibisevic played his high school soccer at Roosevelt High and played one year of college ball at Saint Louis University. 22 Jump Street pulled in an estimated $60 million in its opening weekend. Its audience was split evenly between men and women. How To Train Your Dragon 2 came in second with an estimated $50 million opening weekend. Maleficent‘s receipts dropped 44% but still managed to bring in $19 million in its third weekend. Disney’s Angelina Jolie flick has now brought in over $430 million worldwide. A pair of films in their second weekend of release, Edge of Tomorrow and The Fault in Our Stars rounded out the weekend’s top five. They brought in $16.2 million and $15.7 million, respectively. Deadspin‘s soccer site, Screamer, has been posting this excellent feature daily. It’s a recap of each day’s World Cup goals as called by local announcers. Be sure to check out our own St. Louis guide to the 2014 World Cup in Brazil. The latest “theme night” announced by the St. Louis Cardinls in “Jon Hamm Night” on Monday, August 18 against the Cincinnati Reds. Fans who purchase a special ticket will receive “their own Jon Hamm Bobblehead”. A portion of each theme ticket sold will be donated to the St. Jude Children’s Research Hospital, a charity chosen by Hamm. Tickets for the game and bobblehead start at $20.80 for tickets in the Right or Left Field Pavilion and go up to $170.80 for tickets in the UMB Champions Club. Tickets that also include a Meet & Greet with Hamm and a professional photo with him run from $60.80 to $210.80. Tickets for the game that do not include anything about Jon Hamm except for maybe seeing him walking around the stadium start at $5. 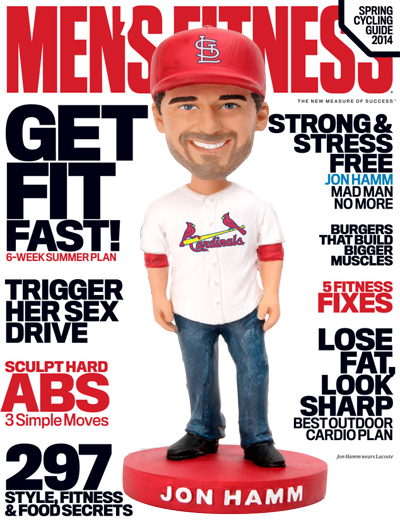 The Riverfront Times talked about the marketing move with the headline “Jon Hamm, St. Louis Cardinals’ Most Handsome Fan, Gets His Own Bobblehead”. The bobblehead looks so good, in my opinion, that it probably should get its own magazine cover.